What Are People Referring to When They Mention “Grid Rules” in Social Security Disability? Applying for Social Security Disability can be a lengthy and sometimes frustrating process. I get questions every day about how applicants can make the process go faster, what the eligibility requirements are, and what some of the frequently used terms mean, such as the grid rules. There are a few ways a disability applicant can argue they qualify for benefits. An applicant may argue that they meet a medical impairment listing, are unable to engage in substantial gainful activity (earning over a certain amount set by the Social Security Administration), or that they are disabled because they meet a Medical Vocational “grid rule”. The Social Security Administration uses a grid of rules to answer when an individual is disabled or not disabled. This takes into account an individual’s age, education level, transferable or non-transferable skills, and your residual functional capacity (RFC). 1) Whether an individual is illiterate or unable to communicate in English. 2) If they have limited education or less than 12th grade. 3) A high school education or more. 4) Education that required specific training or specialization. The grid rules classify your past relevant work as either unskilled, semi-skilled, or skilled and also take into account whether or not you have transferable skills. This considers if the skills used in your past work can be transferred to a different job. Lastly, your RFC level categorizes whether your abilities limit you to perform sedentary, light, medium, or heavy work. An experienced attorney who understands how the grid rules are analyzed can determine if they could work to your advantage in your claim or not. 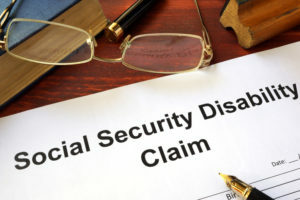 Contact Oxner + Permar today for a free consultation to speak with an attorney who can answer your questions about your Social Security Disability claim. How Do Transferable Skills Affect My Social Security Disability Claim? A question clients often ask is how to prove their skills are non-transferable. A skill is defined as the knowledge of a task that requires judgment and is attained through job performance. The Social Security Administration (SSA) classifies the different skill levels of jobs as unskilled, semi-skilled, and skilled. These classifications are generally determined by how long it takes to learn the work and what that particular job requires. Once the Social Security Administration determines the skill level of your past work they will use that to provide you with other jobs you might be able to do that meet the same (or lower) level of skill. This is what they mean by transferable. Some examples of transferable skills are supervising or managing others, teaching, filing, clerical work, researching, technical work, and training. When determining whether a person has transferable skills, it will depend on if their impairments or disabilities affect the ability to perform those skills. If it does, then their skills will not be transferable. However, if it does not affect an individual’s ability to perform, then the skills can be considered transferable. Proving at your hearing that your skills are non-transferable may be essential, especially if you need to challenge the vocational expert’s opinion. 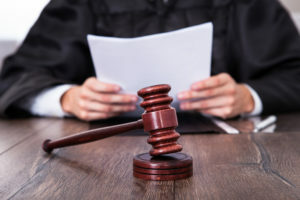 An attorney who understands transferability of skills under the Social Security Administration rulings and regulations can help with the cross-examination process during the hearing. Don’t risk having your claim rejected. Work with an experienced attorney who will make sure it’s done right. 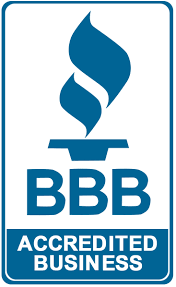 Give Oxner + Permar a call for a free consultation. Temporary Total Disability vs. Temporary Partial Disability: What’s the Difference and What do They Mean to You? Temporary total disability is when you are temporarily out of work completely. In other words, because of your injury, you are unable to work at all. However, the expectation is that you will improve and eventually return to work. This is not a permanent disability. If you qualify for temporary total disability, you will be paid at the rate of 2/3 of your average weekly wage. If you make $360 dollars a week you will be compensated approximately $238 a week — pretty straightforward. Temporary partial disability is for when you are unable to work your regular job due to your work injury, but you are able to do some work. Because you are not working your old job, chances are the pay will be lowered to match the work you are doing. When you’re on temporary partial disability, you will be paid at the rate of 2/3 of the difference between what you made on your old job and what you are able to make on your new job. For example, if you made $360 a week at your old job and $200 a week at your new job, you would be compensated approximately $106 from your temporary partial disability benefits — meaning your weekly total would now be approximately $306 a week. Unfortunately your employer can have you perform whatever job they’ve created for you (e.g. something as menial as counting paper clips or sitting in a chair) until you recover and are able to work at your regular rate. We refer to these as “make-work jobs.” If you refuse to do this job, then you are giving up your right to weekly disability checks and medical benefits. Sometimes an employer will find a reason to fire you while receiving temporary partial disability benefits. Unfortunately in the state of North Carolina, there is no law against firing you while you are on disability benefits, just so long as your employer cites another reason for your termination. If you are fired while you are receiving temporary total disability, your checks will continue. If you have any questions about temporary total disability or temporary partial disability, contact one of our experienced attorneys at Oxner + Permar. We are devoted to keeping our clients informed of their rights and helping them navigate the ins and outs of workers’ compensation. One of the most important things to consider when going through a divorce is “what happens to our assets and debts?” The division of marital assets and debts is referred to as Equitable Distribution. Here “equitable” means fair rather than a 50/50 split, so it’s important to note that the court has discretion to determine what is equitable or not. It is also made without regard for child support or alimony. 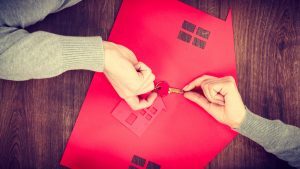 Marital property is presumed to be all property acquired during the marriage by either or both parties and owned by either or both parties on the date of the separation. Separate property is any property acquired before the marriage or after the separation by either party. Divisible property accounts for passive decrease or passive increase in value of your marital property after the date of separation. They calculate the net worth of the property. They distribute the property in an equitable manner. Equitable Distribution is intended to ensure that your assets and debts are fairly divided during a divorce. If you have any concerns or questions, don’t hesitate to contact one of our experienced attorneys. When is it Appropriate to Modify Child Custody of Child Support Agreements? When it comes to child custody cases I often have clients ask, “When is it appropriate to modify the terms of child custody or child support?” Of course, in these situations, modifications should only be made with your child’s best interests in mind. 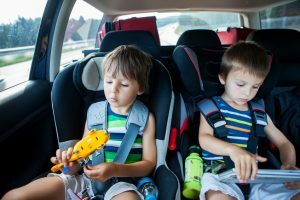 So the steps needed to get any kind of modification approved involve evaluating your child’s needs. There are two main types of child custody agreements: contract and court ordered. We’re going to focus on court ordered custody agreements, as there is no ability for modification with a contract between two parties. To make changes to a court ordered child custody agreement either both parties must agree on the modification or there must be evidence of a significant change in circumstances that affect the welfare of the child and that a modification is in the best interest of the child. Relocation of one or both parties. Inadequate living conditions for the child. Substance abuse by a parent or custodian. Instability of a parent or custodian. The emotional or physical health of the child or parent. Loss of a parent or custodian’s job. A change in the child’s performance at school. Of course, this is not a complete list. There are many additional things that could support modifying a custody agreement. The main thing to keep in mind is: are your child’s needs and best interests being considered and accommodated? Changes in factors used to determine support (such as daycare expenses or medical insurance). However, be aware that as with child custody cases, decisions will be made with your child’s best interests in mind. If you have any questions about child custody or child support, don’t hesitate to consult an attorney. Make sure that both your rights and your child are being protected.